Spanish school “Centro Picasso” was founded in 2007. 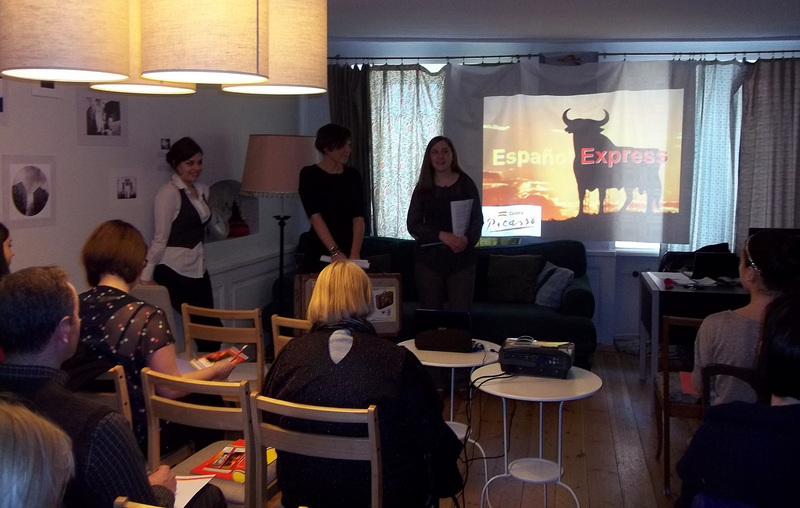 Ever since its inception, one of our goals has been to offer not only the opportunity to learn Spanish language but also to stimulate students’ interest in Spanish culture. This includes not only making the classes more exciting and interesting, but also to enrich the students’ knowledge of Spanish culture and to understand the nuances of the Spanish society. The founders of the “Centro Picasso” believe that the language can only be learned if you have the opportunity to get to know the culture, history and people’s mentality. All the teachers are native Spanish speakers: Classes are combined language training and cultural awareness, because language is learned in direct contact with the Spanish cultural medium. Our Library and video library: Centro Picasso” students have access to books and movies in accordance with their level of Spanish language. One of our goals is to motivate students to practice Spanish outside the classroom, so we offer students the free opportunity to watch films and read books in Spanish. In our archives there are Spanish and Latin American films (in the original language, and with subtitles in Spanish and English), as well as the works of directors of other nationalities duplicated into Spanish. Cultural activities on Fridays: Movie nights, discussions about music, history, politics, geography, society, and other interesting topics. We believe that this is a wonderful way to use Spanish language outside the classroom, and to get to know Spanish and Latin American culture. Different types of parties and gastronomical events: These are events where students can take a break from everyday concerns, get to know each other better, and communicate with teachers in a more informal setting, and to get to know Spanish traditional meals and drinks. Summer courses in Spain: Every year, many of our students go on summer courses in Spain, in cities such as Burgos, Salamanca, or Alicante.